The power of AI in the business industry has already made companies spend nearly $22 billion on AI-related acquisitions and mergers in 2017. The next step is to use the AI in the workplace, using its power to employ workers, forecast demands and attend to the needs of the customer. That can be possible thanks to the amount of data that organizations generate and receive every day. AI is the key to achieve an effective workplace where data and time can be used in a more profitable way. The power of AI has been increasing lately, as a consequence, in 2019 lot of companies will start to include this technoollogy in common and everyday actions. In 2019 we could find more advanced AI assistants, Instead of just speaking to your AI home device or your mobile phone, you’ll soon be able to speak to your car, TV, refrigerator… even to your lamps! Moreover, we will be able to experience better chatbots and virtual agents with conversational AI powered Search. The gap between rural and urban healthcare in China can be avoided thanks to Artificial Intelligence. AI advances into healtcare will help the lack of medical resources and ease the pressure on overcrowded hospitals. AI technollogy is able to find diseases with 97 percent of accuracy and diagnose just from one picture. Artificial intelligence opens up new fields of application for camera technology and image processing. 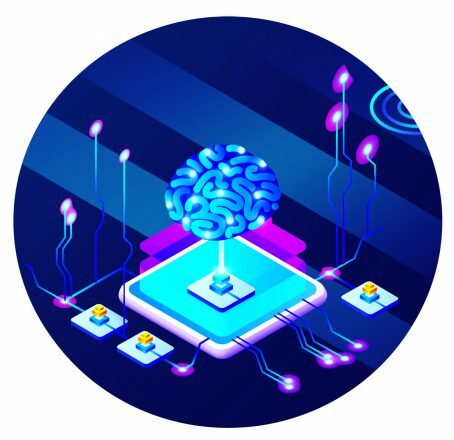 Moreover, it is equipped with this AI-based embedded system, sers can load pre-trained ANNs (artificial neural networks) of different architectures onto the cameras and then use them for tasks such as object recognition or classification. Due to the information that it provides, we encourage you to read it. First, the obvious Benefits of AI investigations has made this two countries collaborate in fields such as blockchain network or Artificial Intelligence. And it took place during the first India-Russia Strategic Economic Dialogue. Moreover, a statement was issued after the dialogue which said: “Both sides agreed to explore joint working arrangements and pilot projects in healthcare, proposed setting up of a single-window clearance.” If you want to know more, click the link below. Tom Douglas is an AI talented developer from Canada. Hence, his profile is always sharing the last news on the field and the best advices for new researchers. Certaily, it will be interesting for you to take a look at it. Finally, you will get all the information that you need. For that reason, you can read his twitter andeverything that is important about this field. It is due to the quick capacity to get twitter.